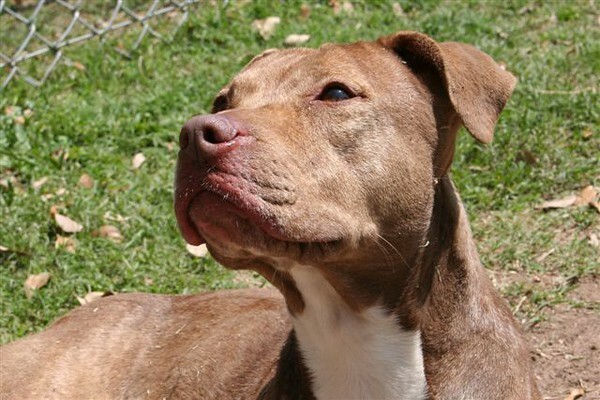 Diamond A499543 • 3-yr-old • Female • Pit bull mix • Pen 2 • Arrived 04-Feb-2008 True to her name, Diamond is more than ready to be a girl's (or guy’s) best friend. This smart, pretty little bundle of love is cheerful and has a real desire to please. She is great at sitting for a treat, loves walks and enjoys relaxing by her special person’s side. Diamond often will look up at you with her lovely, light eyes to see what you want to do next, and she’s game for whatever you think is fun. She will sparkle in her forever home. Can't adopt? Click here for other ways you can help out.